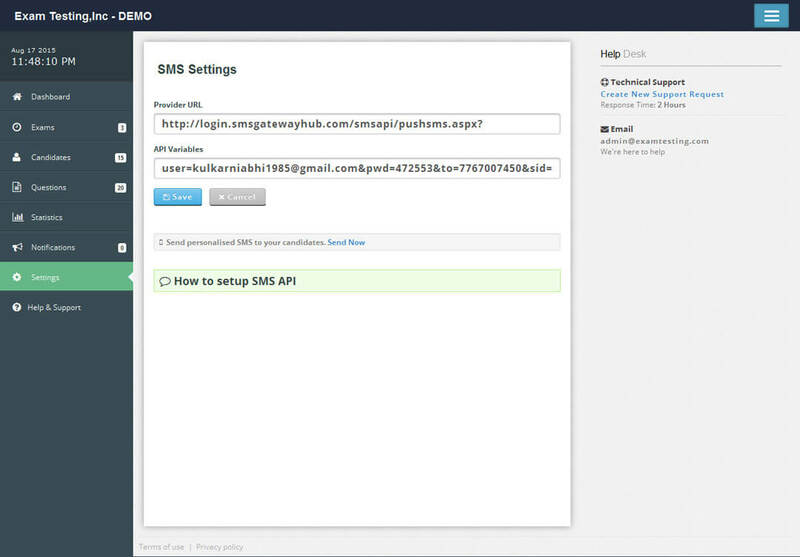 We make it easy to integrate any SMS API with our online exam software. Use this feature to send SMS to your registered students directly from your quiz software account. You don't have to be tech savvy to utilize this feature. All you need to do is provide simple API details – that's all it takes! Your messages can include data variables, including students' names, usernames, or passwords. Each student will receive a personalized message indicating their unique login information and details of their applicable exams. Use the SMS to notify students about upcoming tests or important exam information.